Sometimes it's not so easy to come up with blog post ideas, especially if you've reviewed your entire makeup collection or made OOTD's out of your entire wardrobe, and that's when blogger's block strikes! We've all been there before. Sat at the laptop, ready to write and no idea what to talk about! The best thing to do is have a list of types of posts that you can dip into when your brain offers you no inspiration whatsoever, so here are 25 of my top blog post ideas for when you are struggling with bloggers block! 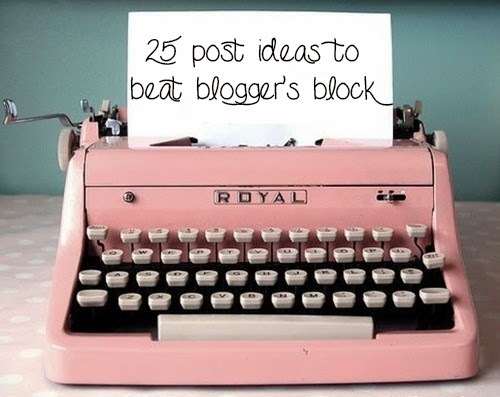 So don't worry about blogger's block too much! 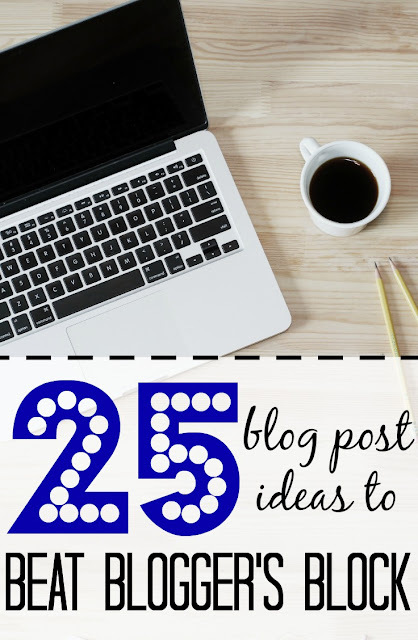 You should definitely be able to find some inspiration for a blog post from this list. I'd love to see what posts you create - send me the links in the comments below! Thank you for sharing, these are great ideas!